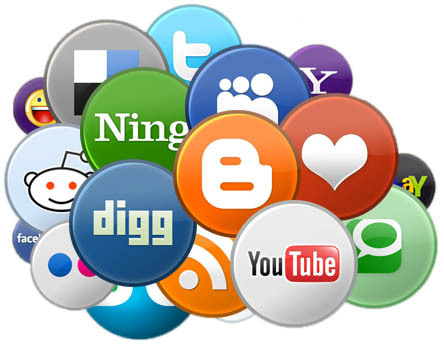 *Social bookmarking is a way for Internet users to share, organize, search, and manage bookmarks of web resources. For this semesters MSc assignment I have been asked to undertake a small-scale action research project.The project will involve designing and introducing into my practice an instructional strategy, activity or technique and analysing its effect on improving student learning. My initial idea is to analyse the effectiveness of social bookmarking as a way of sharing infomation with sixth form students. During my PGCE and MSc I have often been directed to the social bookmarking sites of university academics and have often wondered how effective these sites really are with regards to sharing information with students. This is mainly because it has taken two years of the Academic Skills Tutor plugging her site before I was motivated to visit it, despite it containing lots of useful links. I am also aware that my tutor groups only see me once a week and as sixth formers there’s a wealth of information and useful links that I have that I can share with these students therefore if I can get it to work a social bookmarking site could become an invaluable tool. I was originally thinking of setting up a Diigo site for my students however the site has no facility to track web traffic so instead I am going to create a WordPress site and organise the links by creating different pages such as UCAS, volunteering and study skills. I am unsure of whether to create a small-scale version of the site for this assignment and focus on sharing university related links with the A2 students whilst waiting until the dissertation module to develop the site fully or whether to completely go for it this time and work on another idea for my dissertation? Any comments about the merits or limitations of this action research project are greatly welcomed. This seems like a good idea. As users of social networking sites we are well aware of the benefits for students. However, like you I think it can be difficult to ‘sell’ the benefits. I think the problem is that people can be overwhelmed by the information available to them, so may benefit from ideas on how to make effective selection of relevant information. It can all depend on how well the author has used bookmarks and tags! I think by the time you have finished this module you will have a clearer idea of which way you want the dissertation to go. I am interested in your point about how long it takes before we take notice of web resources within social bookmarking sites. I agree with Deb about being overwhelmed, but I wonder if you can pick up on timeliness and motivation? I found your post via the #mscmmel hastag via Deb’s retweet on another topic! This “catching” of information is often serendipitous and haphazard. I have used delicious since its beginning, but have had little traffic so far. I migrated to Diigo but haven’t explored its potential as yet.